VROOM KABOOM combines elements from collectible card games, tower defense and multiplayer online battles. Build a deck of vehicles and deploy them into battle. It ends in destruction. 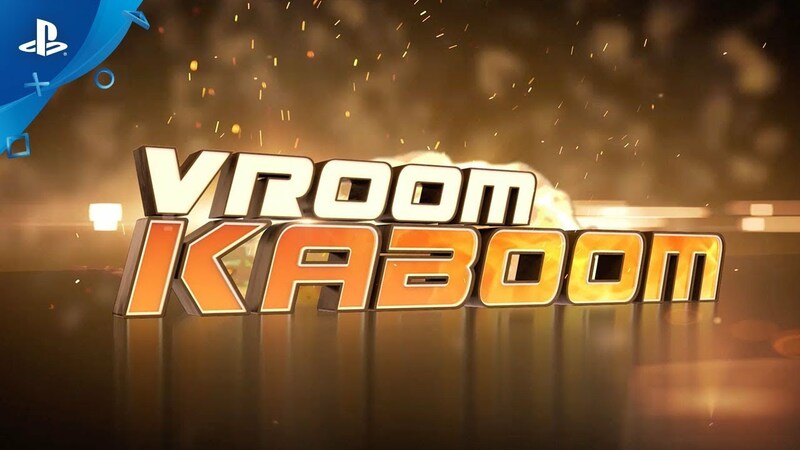 VROOM KABOOM is a brand-new type of gameplay experience. A "Tower Rush with Vehicles," this game combines elements from collectible card games, tower defense and multiplayer online battles. Build a deck of vehicles and deploy them into battle against other players online. It ends in destruction. With a wide variety of physics-driven vehicles, VROOM KABOOM is a crazy mash-up of emergent action gameplay and tactical choices. Engage in 1v1, 2v2 or 3v3 battles and even take to the roads in our full-featured VR mode! With over 70 different vehicles and units to choose from (including PREMIUM cards), build a deck that fits any strategy and playstyle. Play and win matches to gain new cards and scraps, and unlock new and more powerful units! With the FULL version of VROOM KABOOM, unlock ALL PREMIUM cards for ALL factions, giving you immediate access to 40 playable vehicles. Collectible cards range from motorbikes, trucks, cars, tanks, helicopters, missiles to planes…oh my! Don't be a rookie, try summoning multiple vehicles at the same time! And just when you thought that was all…take to the roads in a whole new way with our fully featured VR version! While a VR headset is not required to play, VROOM KABOOM VR takes the insanity to a whole new dimension! PlayStation®VR supports the 1v1 mode permitting you to enjoy the same fast-paced online multiplayer and 45 single-player missions across six different environments! Get closer to the action, feel the adrenaline, and immerse yourself in the game! Imagine collecting, customizing and playing with cars just like matchbox cars in real life! You can choose from our three playable factions: SkullBorough, Drift City and Soul Station. Each contains unique cards to collect, vehicles to drive, environments to play in and music to enjoy! We’ve even added a set of single-player missions to complete for each faction! 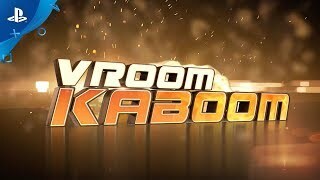 Vroom Kaboom is made by Ratloop Games Canada, an eight-man indie studio based in Montreal, Quebec! We're a passionate group of gamers who wanted to create something that challenged both your mental and physical skills at the same time, while offering a fresh and new gameplay experience. We love gaming and we love what we do. Copyright © 2018 Ratloop Games Canada - All rights reserved.